Just a brief update on the progress of the heating oil syndicate. We have a list of 17 local residences who have expressed a desire to join together. This has resulted in the first supply this week to 11 dwellings. 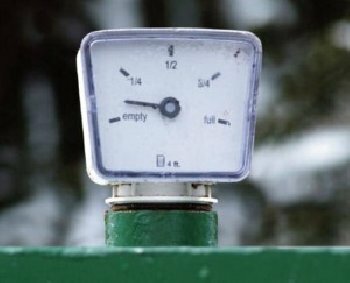 Negotiations with many of the main oil supply companies has enabled a rate of 56.29 p / L (23-01-12) to be achieved on the supply of 12,500L. This represents a saving of 7.7p/L on the standard rate and justifies the benefit to those who have participated. Anyone wanting to join the syndicate please Contact Mike Whittall (Tel 01428 681423) to participate in the next delivery expected in the summer. This is looking like something not to be missed. One of those occasions in the life of Hambledon that will be remembered for years to come. One of those occasions where everyone should be present. It will start with the fete on the Saturday afternoon and the dinner and dance in the evening. On Sunday the Church will host events. On Monday evening there will be a party supported by the Parish Council to thank all the volunteers who have helped the village in any form. This will culminate in the lighting of a bonfire, synchronising with many others all over the country, to celebrate the Queen’s Diamond Jubilee. All are welcolme to this party. Tuesday is also a Bank Holiday, but will be reserved for recovery. The Fete will be run by four organisations and they will share the proceeds. They are The Almshouses, The Church, The Cricket Club and the Football Club. Our next step is to have a meeting of their representatives to decide the responsibilities. Outside of this we would welcolme all ideas and offers of help in running stalls or organising events. So far we have the Novelty Dog Show and The Cellar and National Trust wanting tables in the marquee. Regarding the dinner and dance in the evening, tables will be available for complete booking. We still have slots for the use of the marquee or cricket ground over this period so any extra ideas would be gratefully received. I can be contacted via the Village Shop. The way is now open, if we move quickly, to recover use of Dunsfold’s former infant school building for the education of local children. 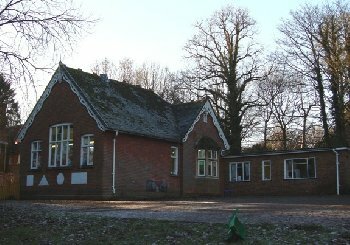 The Charity Tribunal decided at the end of 2011 that the preferred use of the building should be ‘as a school for the education of children who are resident, or whose parents are resident, in and around the parish of Dunsfold’ and invited production of ‘a formal, viable and timely proposal for use of the property as a school for the village’. In response to this our proposal will combine nursery and primary provision on the whole site, and the formation of the Dunsfold Village School Trust to carry this out. We hope to be able to take advantage of the Government’s Free School initiative (state-funded schools set up in response to parental demand) to open ‘Dunsfold Village School’, and would aim to build on nursery provision by opening in September 2013 a Reception class for children who were born between September 2008 and August 2009. Over the following years the school would then grow, each September, to become a primary school for children aged 4-11 by 2019. During the initial years we envisage that the property could be extended and reconfigured to accommodate the increasing numbers of pupils and staff. In order to take this initiative forward and secure funding we need to know as a matter of urgency the level of parental demand and local support for a Primary School in Dunsfold. We would be grateful if you could please take a few minutes to complete this questionnaire. A strong case for maintaining Hambledon's only remaining bus service has been made by the Parish Council in its response to SCC's consultation document on proposed reductions to services across the county. Visit Clubs & Organisations/Parish Council/minutes on this web site to read the full text, which was drafted by Stewart Payne. Petworth Road between Lane End, Hambledon, and Witley has reopened, many hours after it was closed after an oak tree fell on a bus, severely injuring the driver. The number 70 Stagecoach service was travelling towards Hambledon on route to Haslemere when the huge tree was brought down by severe winds at about 8.30am. The tree fell across the road, crushing the front of the bus. Two passengers on the bus escaped injury. The driver had to be cut free and was taken to St George's Hospital, Tooting, south west London. Many other roads in the Hambledon area were affected by the high winds, with snapped branches and other debris littering roads. Mic Coleman, who has done so much to support and develop cricket and football in Hambledon over many years, has had his contribution recognised with an outstanding achievement award. At the recent Sport Godalming awards ceremony held at the Charterhouse Club he was presented with the Downs Award, which recognises distinguished service in promoting sport in the community. Mic has been actively involved in both Hambledon cricket and football clubs for several decades, and is president of both. The award was made at a ceremony at which Hambledon Football Club, last season's Guildford and Woking Alliance Premier Division champions, were named senior team of the year, a remarkable achievement for one of the league's smallest clubs. Matt Kiley, Hambledon FC secretary, said he was delighted that the club had been recognised. 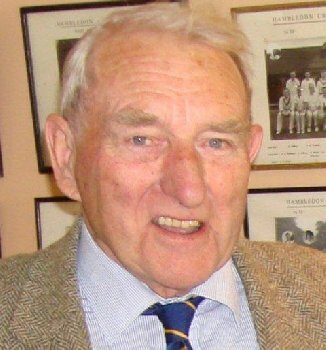 Of Mic he said: "He is one of the unsung characters of local sport; he is 'Mr Hambledon'". Sport Godalming is a body which exists to support and encourage sport in the area. Hambledon FC could not be promoted, despite winning their league, because the facilitiies at the club's Badger Park ground did not meet with requirements. The club has planning permission for a new club house but is still fundraising before work can start. Details of the football club, and its development plans, can be found in the Clubs and Organisations section of this website. Mic is pictured above on the day he was introduced to Princess Alexandra, when she visited Hambledon in recognition of it being voted Surrey Village of the Year 2008-2009. Surrey Police announced today (December 7th) that a woman who went missing from the Hydestile area more than a month ago has been found safe. 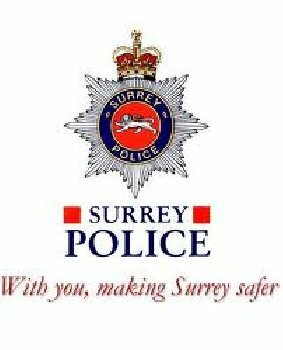 "Surrey Police can confirm that the 22-year-old woman missing from the Hydestile area of Godalming has been located. Helike Vahi was found safe and well on Tuesday, 6 December. She had been reported missing from her home on Wednesday, 2 November 2011. Officers would like to thank the media and members of the public for their assistance during the search for her." * On a separate matter, PC Tracey Taylor, Hambledon's neighbourhood officer, has warned villagers of a spate of thefts from local sheds, garages and barns. She told a meeting of the parish council on Monday that there had been three thefts or attempted thefts within the parish in the last month. Garden equipment, including a ride-on mower, was stolen. The police helicopter was used to locate a suspect who was found in fields near Feathercombe. There have been other similar thefts in Enton, Milford and Witley and she warned residents to take precautions to ensure equipment was stored securely. You may have read about the nationwide ‘Surviving Winter’ appeal. Individuals who can afford to are being encouraged to donate their 2011/12 winter fuel payment from the government to local charities. Local community foundations, including the Community Foundation for Surrey, are organising this appeal. Hambledon Community Fund is, of course, part of this scheme. All donations are eligible for 25% gift aid and if you are under 60, please do feel free to pass this letter on! Thank you so much for your support and making Hambledon an even better place to live. Please do not hesitate to get in touch with any questions about this scheme or the Hambledon Community Fund. The 503 bus which connects Hambledon with Milford, Godalming and Guildford could be scrapped next year. 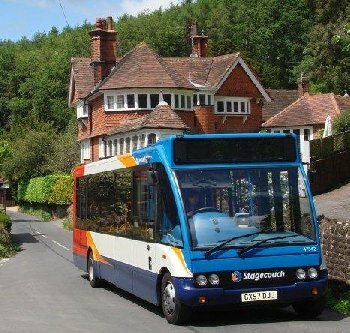 The twice weekly service, operated by Stagecoach, is subsidised by Surrey County Council. The council is looking to make financial savings and the 503 is one of several rural routes facing the axe. The county council is currently reviewing its options and details can be found at www.surreycc.gov.uk/busreview If you want to find out more or make a comment on the proposals please visit this website. You can also make your feelings known at Godalming Library between 10am and 1pm next Tuesday (December 6th) where SCC transport officers are available to discuss the issue. In addition the parish council is meeting with SCC later on the same day. It has made details of the proposals available in the village shop and is asking for users of the 503 to make their views known. 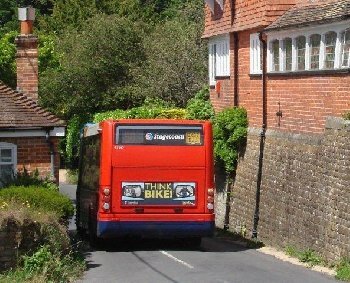 If you use the bus please tell the parish council how important it is to you. As many regular passengers are elderly it is likely they will not read this website. So if you know of someone in Hambledon who is a user of the 503 please draw their attention to the form in the shop, or comment on their behalf. SCC is considering replacing the bus with an "on-demand" Hoppa-style minibus. More details will appear on the website and in the January edition of the parish magazine. In the meantime, please make sure your views known to the parish council as well as giving your opinion to Surrey County Council - in person or on-line. The December meeting of Hambledon Parish council has been brought forward by one day to Monday December 5th, starting at 8pm, and will be held at the Church Rooms at St Peter's Church and not at the village hall. 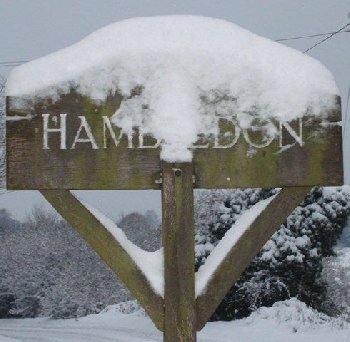 Hambledon has an emergency plan in place in the event of severe weather this coming winter. The plan, prepared by the parish council, links in with arrangements in place at both Waverley Borough and Surrey County Councils. The village suffered considerable disruption following heavy snow falls during the last two winters, largely because of a failure to grit roads in advance. Please remember that the contents of bins are for footpath and highways use only. A sensible precaution is for residents to stock up on salt and grit for use on drives and garden paths and to have a shovel at the ready. Phillips Garage is selling rock salt for this purpose. Hambledon Nursery School is looking to appoint two new trustees in the next 18 months and is keen to hear from anyone in the village who would be interested. The nursery, which caters for children aged two to four, has been run as a registered charity in the Victorian village school building on Hambledon Road at Rock Hill for the last 25 years.There are 17 part-time committed staff and a well-qualified head teacher who has been at the school for 10 years. It was rated 'outstanding' in its last Ofsted inspection in 2010. Staff and trustees are dedicated to ensuring a high quality of education and care for the approximately 60 children at the school. To fulfil the role of a trustee you would need to be interested in the education and care of young children and be prepared to attend six trustee and management meetings a year (two per term). Ideally you would also have one or more of the following; some experience in running or managing a business (HNS turnover £150k), experience as a charity trustee or experience as a school governor, and a Hambledon parish resident. Philip Underwood has been named runner-up in a competition to find a portfolio of photographs that best illustrate life in a Surrey village. The competition was run in conjunction with the annual Village of the Year contest. Philip, a parish councillor, entered a series of pictures which can be seen in the "photos" section of this website. His success brings with it a cheque for £50. The winning village in the photo compeition was Wood Street. It is the first time that a photo competition has been run alongside the main Village of the Year contest, which is organised by Surrey Community Action and sponsored by the brewers Fullers. Hambledon won this prestigious title in 2008. This year's winner was Brockham. 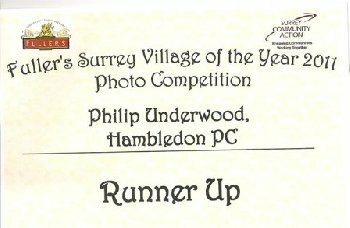 Having won the Village of the Year title recently, Hambledon has not re-entered since but Philip decided to have a go at the photo competition. He has received a certificate, shown here, which will go on display at the village community shop. Philip, a keen wild life photographer, took pictures at the shop, Oakhurst, the cricket green and the church as well as showing parish clerk Jane Woolley at work. He concentrated on people, rather than the locations, and each told its own story - a snapshot of village life. Please click on the link below to see Philip's album. Would you be interested in joining a Hambledon heating oil syndicate? As the cost of domestic heating oil continues to rise, it has come to the attention of the parish council that a small number of residents are considering joining together to reduce the cost of heating oil purchase. As with all commodities in life, the supply of heating oil is fixed by the supplier on a daily rate based on demand. The larger the quantity you can order at any one time influences the rate you pay. The parish council would like to establish the demand among residents who use oil for a syndicate to negotiate with suppliers for a better rate. A number of issues must be overcome: the main obstacle being synchronizing the supply for 2 refills per year. However, following initial discussions with a number of suppliers, cost saving of between 3 - 5p a litre can be obtained. This would equate to approximately £60-100 per person saving per year based on 2000 L usage. If a syndicate scheme is of interest to enough residents, we will arrange a meeting in the near future to discuss the proposal in more detail. Environment Agency regulations on registering septic tanks have changed since the article in the September edition of the parish magazine went to press. There was a requirement to register your system with the agency by the end of this year. This is now under review and the deadline has been removed. The lastest information can be found on the agency website at www.environment-agency.gov.uk under the "Homes and Leisure" section and it will be necessary for householders with septic tanks to check for future developments. "The requirement to register small domestic sewage discharges from septic tanks and package sewage treatment plants has changed in England. The requirement to register was a result of regulations made in 2010 by the Department for Environment, Food and Rural Affairs (Defra) and the Welsh Government, as part of the implementation of the European Union Water Framework Directive. Registration was considered to provide the lightest touch approach to meet legal obligations.However, we are now undertaking a joint review with Government on the requirement to register small domestic sewage discharges in England, details of which will be announced in the next few weeks. While the review is underway, we will not require the registration of small domestic sewage discharges, including septic tanks, in England - although householders can still register if they wish." From the St. Peters Church Hambledon Webpages: "We are pleased to announce that the vacancy left by Stephanie's leaving to be chaplain of Scargill House in early 2010 will soon be filled. The position of Vicar in Hambledon who will lead our care for the village and mission for God's work here is advertised on Busbridge Church website http://www.busbridgechurch.org/ "
Two stalwarts of Hambledon Parish Council, Ron Vickery and Derek Miller, have been thanked for their years of service to the village at a special party in their honour. They were presented with garden centre vouchers at a gathering of councillors and clerks, past and present, at the home of council chairman John Anderson and his wife Tucker. Ron has stood down after 35 years continous service, making him the third longest serving member since the council was formed in 1884. Derek has clocked up 16 years. Both have made immense contributions to the work of the council. Ron and Derek are pictured receiving their tokens from John. The guest list for the party included former council colleagues going back to when Ron joined in 1975. It is unlikely that a picture of Hambledon councillors and clerks past and present, spanning 35 years, has been taken before and it is one for the village scrap book. THE proposal by three of Hambledon Village Shop's part time salaried staff to take over its management has been accepted. Alan Brien, Amanda Wright and Alison Wilson - who have become known as The Three A's - will take over from Philip Underwood, who has been voluntary manager for four years. He will continue to help at the shop and assist the new team. Alan, Amanda and Alison are familiar and popular members of staff and are very experienced in the day-to-day running of the community business. They have been in discussions with the board of Hambledon Village Shop Ltd over the last two weeks. The acceptance of their business plan removes the need for the board to advertise for a salaried manager. 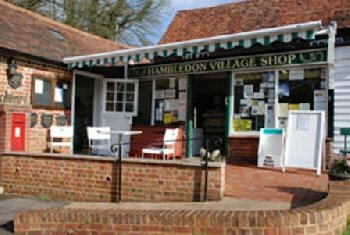 "The directors of Hambledon Village Shop Ltd are pleased to confirm that the 3A management team of Alan Brien, Amanda Wright & Alison Wilson (all experienced members of HVS staff) are to take over the management of the shop with immediate effect. The 3A management group will work with the directors for an initial period to the end of April 2012 and all will be working to ensure HVS continues as a viable and happy community venture, largely run by volunteers. The directors are very grateful to the enormous voluntary work put in by Philip Underwood over the last four & a half years managing the shop. Philip will continue to support the shop & the 3A team as a volunteer. 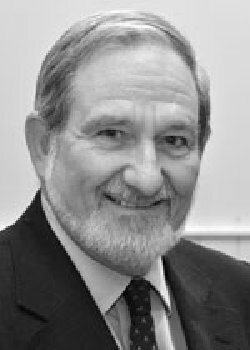 The board will mark Philip’s great contribution with a suitable gift." Surrey Police has released details of a cannabis raid in Hambledon in which six people were arrested. According to a statement on the Surrey Police website 95 plants were discovered growing at an address in Woodlands Road, although it is understood the correct location is Vann Lane. 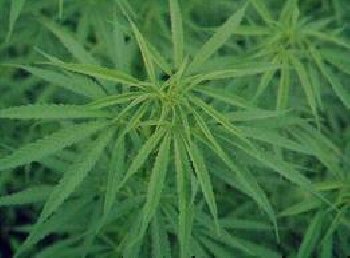 Six people have been arrested on suspicion of cultivating cannabis following a police raid in Hambledon. A warrant was executed under the Misuse of Drugs Act at a property in Woodlands Road, Hambledon, last Tuesday (31 May). Officers discovered 95 plants and a complex arrangement of hydroponics equipment. Four men and two women were arrested on suspicion of cultivating a Class B drug. One of the men was also further arrested on suspicion of possession of Class A and B drugs with intent to supply. All six have been released on bail. 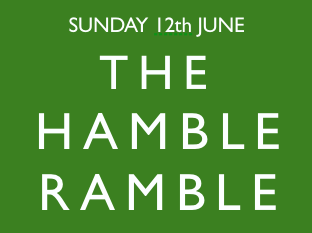 The Hambledon Village Community Fund is organising a "Hamble Ramble" to raise funds for its work in supporting the needs of the community. The walk around the village, taking in places of historical interest, will start at 2.30pm on Sunday June 12th, beginning and ending at Hydon End, Feathercombe Lane. Tea and Pimms will be served at the end. There is a Garden Ramble for those who do not wish to take part in the village walk, suitable for the very young and the very senior. And a quiz will be held for those who would like to test their knowledge. Entrance is £5 per person. If you enter as a team of five or more the fee will be capped at £25. Hambledon Parish Council has joined with other local parishes to oppose a proposal by the owner of Dunsfold Aerodrome for unrestricted aviation activity. 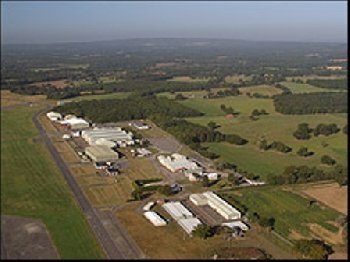 Dunsfold Park, the company that owns the site, has applied to Waverley Borough Council for a Certificate of Lawfulness to allow it to use the former World War Two aerodrome for a range of aviation activities, including unrestricted take offs and landings. This follows the failure of Dunsfold Park to obtain permission to build a housing estate on the airfield, which is in a rural location on the outskirts of Dunsfold and less than five miles from Hambledon. The purpose of a Certificate of Lawfulness is to enable an applicant to establish whether it has the right to undertake certain activities without having to go through the full planning application process. Waverley has asked for comment from local parishes. "It understands that from 1946 the air field was used for the service and maintenance of commercial aircraft. The only flying operations that took place were the arrival and departure of aircraft for maintenance purposes. There was never any general aviation use; flying operations were ancillary to the primary use. "In 1952 the air field was taken over as a facility related to the provision of military aircraft. The relevant planning permission was for the repair and flight testing of aircraft. "A further planning application was granted in 2008 for change of use of buildings and land on the air field. The permission included conditions restricting the nature and extent of aviation use; no general use was permitted. "All of the foregoing indicates that there never has been unrestricted aviation use at Dunsfold Aerodrome and that there can be no grounds for granting a Certificate of Lawfulness for the uses set out in the application." Waverley Borough Council has approved the scheme to build a country house estate on the site of the derelict Nutbourne Brickworks in Roundals Lane. Members of the Central Area Planning Committe were unanimous in their approval when they met to consider the application by Millgate Homes on Wednesday (May 25th). 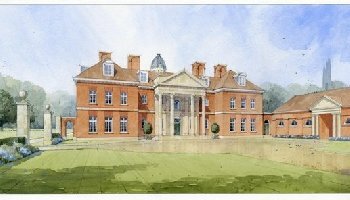 The developers had applied to build a mansion house, staff cottages, a gate house, stables and garages on the 220-acre site. Nearby residents favoured the proposal and Hambledon Parish Council gave its support, but only after securing a covenant that safeguards the site from further development or change of use. Millgate's case that there were special circumstances to allow the development to go ahead, despite it being on Green Belt land and in an Area of Outstanding Natural Beauty, was supported by all the councillors who spoke at the meeting. They had been recommended by their planning officers to approve the application but did so only after first visiting the site. Having seen the dereliction and dangerous state of the brickworks, which closed in 1990, and examined the landscaping proposals and conditions to protect and enhance the environment, councillors said they were persuaded that special circumstances existed and gave their approval. Hambledon Parish Council has re-appointed its chairman and deputy and co-opted two new members to serve the village for the next five years. John Anderson, pictured right, is to continue as chairman and Philip Underwood, pictured below, will remain his deputy. Sarah Stuckey and Mike Parry agreed for their names to be put forward for co-option when the council found itself two short following the elections earlier this month. Long-serving members Ron Vickery and Derek Miller stood down at the election and, with Jane Caie's vacancy still to be filled following her resignation last year, the council was in need of at least three candidates for the election on May 5. 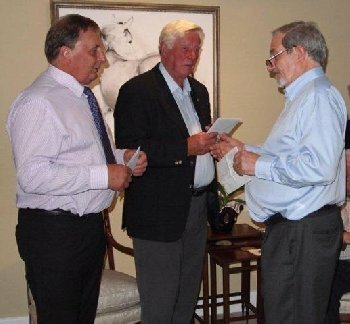 Mike Whittall submitted nomination papers along with existing councillors John Anderson, Philip Underwood, Stewart Payne and Paul Pattinson, who were seeking re-election. With five candidiates for seven places, no election was required and the new council, at its first meeting this month (May 17th), agreed to co-opt on Sarah, who lives at Lane End, and Mike, from Woodlands Road. Contact details for the new councillors can be found on this website on the parish council page under "Clubs and Organisations". Hambledon Village Shop Ltd has been approached by three regular part-time salaried staff with a proposal to take over the management of the business. This development comes as the Board considers the appointment of a paid manager. 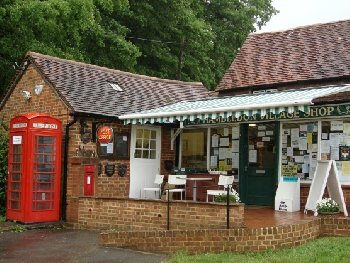 Hambledon Village Shop has been trading as a community owned and run venture since November 1992. Philip Underwood has been the overall volunteer manager since November 2006 and, having put in over four and a half years of considerable volunteer work, would like to stand down as manager. He will remain as a volunteer supporting the shop venture. The business of the shop is owned by Hambledon Village Shop Ltd (a company limited by guarantee) and whose directors have been George Pitt, Jamie Sehmer, Philip Underwood and John Anderson. These directors have also had Amanda Wright and Alison Wilson working together as a management committee. 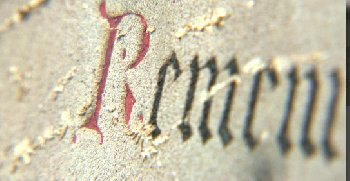 In the summer of 2010 three old villagers thought it might be a good idea to research the churchyard at St Peter’s, to re-organise the written records and survey the gravestones before some of the older inscriptions became illegible or disappeared altogether. The aim was to see if family names could be researched (with the help of the internet), and perhaps linked to extant relatives who may not be aware of their antecedents’ burial places. Two young volunteers, Alex Sehmer and Vicky Grove, took on the work. The project has successfully tidied up the burial records, and the database is available for anyone engaged in research. It was interesting to note how time-consuming it became when trying to research the genealogy of just one family, let alone 50! However, the records are now ‘alive’ and let’s hope we can keep them up to date! Webmaster's note: Now that this survey is on our website it does greatly increase it's prominance Worldwide. The Hambledon website has a good Google ranking and so the lists of names will appear in serches made by family history researchers.. THE protracted planning debate surrounding the proposal to build a country house estate on the site of the former Nutbourne Brickworks continues after Waverley councillors deferred a decision and said they needed to visit the site. Members of the borough council's planning committee had been expected to approve or reject the proposal at a meeting on Wednesday night (April 27th). After widespread consultation a dcecision seemed likely this week. But after considering the proposal, which is to build on a green belt site in an area of outstanding natural beauty, councillors decided they needed to be better informed by visiting the Roundals Lane site. This will take place on May 18th and a decision on the application is now expected to be made on May 25th. How Well Did We Cope In Severe Weather? Do you know Milford Hospital? Lorry stuck again - come on Surrey Highways! New Web Competition for Winter Photos. Entries please. Village debate following recent power loss and snow-blocked roads. What can be done? Help! 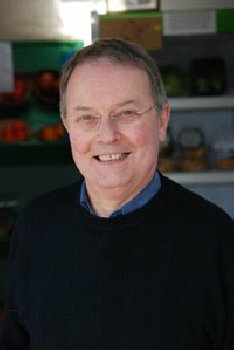 The Village Shop needs your help now! Oak Posts For Hambledon Road Signs - what do you think? Heritage Society "Night to Remember"